You can purchase Office [Year] as a standalone program or purchase a subscription service to Office 365. Office 2016 (current edition) will run $149.99 and licenses one user on one PC. It includes Word, Excel, PowerPoint, and OneNote. Office 365 Home or Personal will include Word, Excel, PowerPoint, OneNote, Outlook, Publisher, and Access. It also includes 1TB of OneDrive cloud storage space and 60 minutes per month of Skype calls per user. This will run $99.99/year (or $9.99/month) for Home and $69.99/year (or $6.99/month) for Personal. Personal is for 1 user only. Home is for up to 5 users. It also includes apps for devices (including Apple products). When you have Office 365, you also get the latest Office software. It also has automatic billing so you won’t ever run out. With Office 365, you also get support for any issues. When Office 2019 is available later this year, it will require you to have Windows 10. 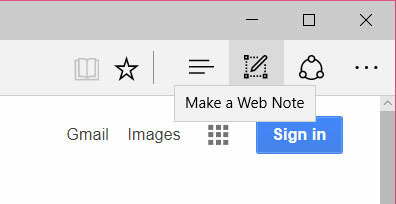 While we’re on the subject of Windows 10, did you know you can ‘write’ in the Edge browser and save it as a note to OneNote? If you have a touch enabled device you can use your finger or a stylus. If not, your mouse will work. 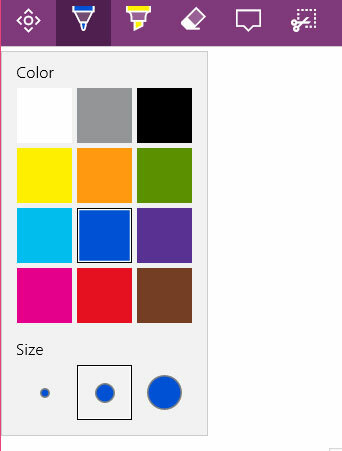 First you need to enable your “pen.” This is in the top right corner of the Edge browser. Next you need to choose the type (pen or highlighter), color, and size. This will show up on the left hand side of the browser after you enable the pen. Then you can write on your page and save it as a note for later. Google has a way to teach kids how to code. Not with a computer but with blocks. Called Project Bloks, it allows kids to learn some skills they need for programming. We’re sure if you’re an adult you won’t get demerits for trying this out. So one of Jody’s crew decided to make the leap and install Windows 10. So how does it work? It went pretty well upgrading from Windows 7 to 10. It installs just like a regular update … it just takes a bit longer. 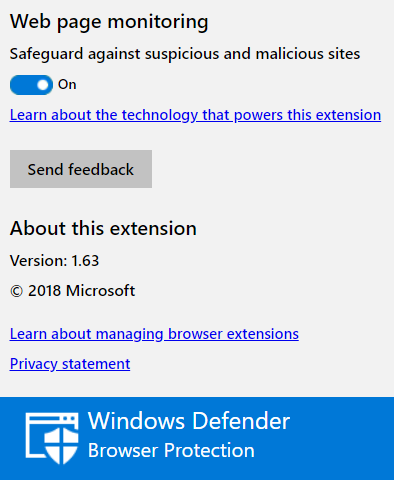 When it was ready on my computer, it just popped up that it updates were ready from the small app icon on the task bar. So the big difference is the start menu. It is basically a hybrid between the Windows 7 and Windows 8 look. What you used to call programs are now called apps. 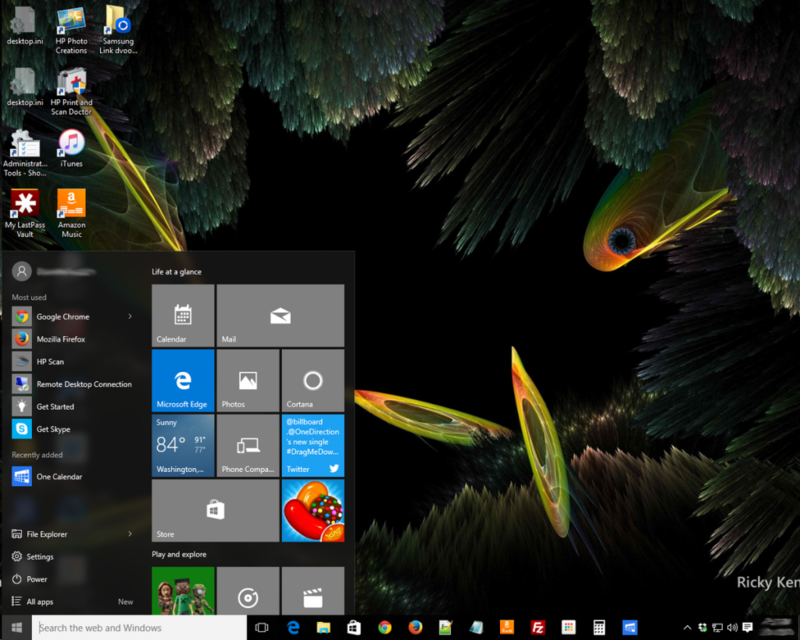 As we continue to use Windows 10, we will go over some solutions to make it easier to navigate. You betcha! According to the Microsoft Windows Blog, Windows 10 will launch this summer in 190 countries and in 111 languages. If you are currently running Windows 7 or newer, you will be able to upgrade to Windows 10 for free. Once upgraded they will keep Windows 10 current for the lifetime of the device. An older post told about the possibility of Windows 10 being free. It has since been confirmed by Microsoft. In an attempt to make Windows 10 more personal, Microsoft is introducing Windows Hello. So what is it? It’s biometric authentication. This will provide you with instant access to all your Windows 10 devices. Show your face or touch your finger to devices running Windows 10 and you will be instantly recognized. They say this is more secure than a password. If you currently have a device that has a fingerprint reader, you should be able to use Windows Hello to unlock the device. For facial or iris detection, it will be able to tell if it’s really you or a picture of you through infrared technology. Or should we say bigger! Microsoft just announced that you will now have 15GB free (up from 7GB). They want to make it easier for people to have all their stuff in one place. All versions of Office 365 will come with 1TB of OneDrive storage space. For Office 365 Home users that’s 1TB/up to 5 people. Without Office 365, you can purchase more space: $1.99/month for 100GB (was $7.49) and $3.99/month for 200GB (was $11.49). Undecided about a laptop or tablet? Why not get both in one? Microsoft just came out with Surface Pro 3. It claims to be both a laptop and a tablet. As a hybrid, it runs Windows 8.1 Pro. There are different price points based on the type of processor/RAM/storage. They range from Intel Core i3 to i7; 4-8 GB RAM; 64-512 GB Storage. The prices range from $799 to $1,949. The Keyboard/Cover is considered an accessory and has to be purchased separately for $129.99. It’s height is .4″, width is 11.5″, depth is 7.9″ and weight is 1.8 pounds. The display is HD touchscreen and diagonal screen measurement is 12″. It comes with and SD card slot, front facing webcam at 5.0MP. The Camera is 5.0MP. It has 1 USB port. Most people know by now that the second Tuesday of the month is known as Patch Tuesday for users of Microsoft Windows. Maybe you didn’t know this and just thought the updates and patches just came whenever. Maybe you don’t fire your laptop every day or just don’t pay attention to the timing. It is important to put these updates and patches in as soon as possible or you could be a victim of “Exploit Wednesday.” The patches are analyzed by hackers to see what vulnerabilities are being patched and have that open window of time to exploit the vulnerability. If you haven’t installed any updates in a while, go to Windows Update and it will check for updates. If there are updates, install them. Then check for updates again. There are some that have to be installed before others so there may still be some updates you missed. This will be especially true tomorrow for users of Windows 8.1. You need to have installed the April patches to get all the updates for May. So the next time your system reminds you that you have updates to install, don’t delay – do them as soon as you can! Microsoft will end support for Windows XP on April 8, 2014. So what does that mean? It really means a lot and is a big deal, volumes have been written, lawsuits are beginning from companies that claim they have custom software that can’t be migrated and on and on and on. So here are few points to consider from some one that loves his Dell 4400 laptop that can’t be upgrade so it now sits in a bag. 1. There will be no more security updates or patches for XP or the IE browsers that run on XP! 2. Much of the newest web technology will not display or run correctly on older IE browsers that XP supports. 3. Your favorite software programs may not continue to to be supported and updated. 4. Older versions of IE that XP will run are already security risks and will continue to degrade. Microsoft is almost begging people to upgrade to Windows 8 and will pay you to do it, they are offering a $50 gift card if you buy a new machine with Windows 8. 2. Quit using IE and switch immediately to the latest version of the Firefox or Chrome web browser and keep it updated. 3. Obtain and deploy the latest greatest anti-virus software and run it and keep it up to date. Remember: There will be no more security updates or patches for XP or the IE browsers that run on XP! It is estimated that there are approximately 18,000,000,000 (18 million) computers world wide that will still be running XP on April 9, 2014 which is a huge target for Malicious Software Developers (hackers and virus developers) and they will go after these machines. The decision is yours but Remember, There will be no more security updates or patches for XP or the IE browsers that run on XP After April 8, 2014! Can’t decide what you want? Well, Jody‘s crew found that there’s a phone coming out that will run both Windows and Android. Karbonn Mobile is looking to develop a dual boot Android-Windows phone! It is set to release in June. Apple is working on a new integrated iPhone voice-control system. It will allow drivers to control their iPhones via touch and voice. It will allow a driver to access their contacts, phone calls, listen to voicemails all with both hands on the wheel. CarPlay will debut in Farrari, Mercedes-Benz and Volvo vehicles at the Geneva Motor Show this week. CarPlay will also be available in cars from BMW, Ford, General Motors, Honda, Hyundai, PSA Peugeot Citroën, Subaru, Suzuki, and Toyota Motor Corp. Maybe a reason to choose iPhone? Microsoft just launched their new OneDrive (formerly SkyDrive) today. If you already have an account, you can log into it now and find all your stuff. To celebrate, they gave away 10 petabytes of storage (that’s 1×107 GB!) For those of us who missed out, if you signed up for early notification, you can still claim 20 GB for the next year for free. Find out more about it here. Yes, Microsoft SkyDrive. Only it won’t be called SkyDrive for much longer. It will be changing its name to OneDrive. They want to emphasize that it’s one place to keep all your stuff (photos, videos, files, etc.) SkyDrive Pro will become OneDrive for Business. One nice feature about this cloud drive is that you can access other computers’ files by using an access code and allowing that device/computer to fetch files. Nice when traveling. You’ll just have to leave your main computer on so you can access it. Microsoft and Godaddy have partnered to make it easier small businesses to use Office 365. The email will be connected to your domain name. Plans start at $3.99 per user per month for 5GB storage. This includes 2GB storage on SkyDrive. The other plans offer 50GB email storage and 25GB storage on SkyDrive for $8.99 per user per month; for $12.49 per user per month, you get full access to Office 365 with desktop apps on up to 5 PCs and Macs and access to mobile apps on iPhone, Android, and Windows phone. >PCWorld Magazine stops print issues. After 30 years, the current August 2013 issue will be the last. You will only be able to get the online version, also in digital format on most mobile devices. Find out how the NSA got encrypted messages from Microsoft. Dropbox is ready to connect all your devices/apps. Google combines your email and google drive space into one. Google shut down mobile SMS search service. Nearly half of all high-schoolers still text while driving. Microsoft warns of a new trojan used to hijack Facebook accounts. Microsoft has new 2-step verification process for Microsoft accounts (formerly Windows Live ID), including SkyDrive, Outlook.com, and Messenger. Google Glass Explorer editions will be rolling out in early May. They should be available by the end of the year for under $1,500. Roku 3 came last month. Here is a new review. What is the Difference between Windows RT and Windows 8? Some people have bought the Microsoft Surface tablet thinking they were getting Windows 8 when they really got Windows RT. So what’s the difference? Windows 8 is a full OS like you would have on any laptop or desktop. Windows RT is a mobile OS that works with apps rather than programs. If you want a full Office Suite on your tablet, then you want Windows 8, but if you can settle for an app, you can use Windows RT. Some other differences are price, size, weight, thickness, connectivity. You can find a full comparison chart here. So depending on what you want to use a Surface tablet for, you can find the correct one to purchase. Hey Jody, What were the top tech stories for 2012? Microsoft Windows 8 – a complete overhaul of how Windows works. SOPA backlash – (Stop Online Privacy Act) bills that would have restricted access to sites with pirated content and anyone associated with them including search engines, ads etc. Live-tweeting war – Israeli military tweeted updates in a conflict with Palestinian forces in Gaza. iPhone 5 and the Apple Maps debaucle – Apple developed their own map app while dropping the Google Maps app. Apple vs. Samsung – Apple accused Samsung of infringing on their patents which ended in a trial. The jury decided in Apple’s favor. Facebook’s IPO – The most anticipated IPO fell flat when it’s initial price was $38 (too high). The stock hit a low of $17.55 September 4. Instagram – Started out as an app, but when usage skyrocketed, Facebook bought it for $1 billion in cash and shares (later dropping to $735 million as Facebook shares dropped. Megaupload and Kim Dotcom – Kim Dotcom founder of Megaupload, a file-sharing company, had his various sites shut down by the F.B.I. for piracy. Mid-sized tables become popular – Apple’s iPad Mini, and similar-sized devices from Google and Amazon. Nintendo offers Wii U – Wii U has a touchscreen tablet controller called a GamePad that communicates with the main console. Yahoo hires Marissa Mayer – The day she was hired, she announced her pregnancy. Stock has risen $4 a share since her hiring was announced. Tech and the presidential election – President Obama used Google Plus and Reddit to respond with voters. Thanks for finding this, Jody.